The Sustainability Council is made up of top-tier leaders on the University of Illinois’ Urbana-Champaign campus with the Chancellor as its Chair. It provides strategic direction and oversight of the campus sustainability initiative, including major campus policies regarding sustainability, energy conservation, and eco-friendly practices. 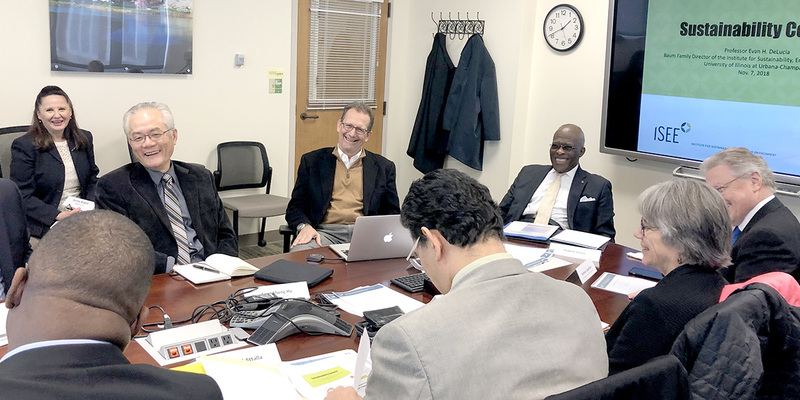 U of I Chancellor Robert J. Jones chairs the Nov. 7, 2018, Sustainability Council meeting.